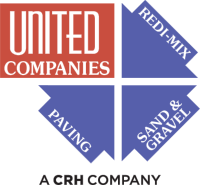 United Companies, is a CRH Company. Our purpose, commitment to the future, and formula for growth is to champion the safety, empowerment, and development of our employees. We strive to be The Preferred Source of quality sand, rock, landscape products, ready-mixed concrete, asphalt, paving and construction services. We succeed as a team by embracing integrity, mutual respect, innovation, service, sustainability, and financial strength. This is a skilled position involving the safe and efficient operation of various types of construction equipment including but not limited to Dozer, Loaders, Back Hoes, Excavator, Track Hoes, Haul Trucks, Etc. United Companies is an Affirmative Action and Equal Opportunity Employer.